It’s no secret that creating a new car whose visual and visceral appeals hit enough buyer sweet spots to make it a winner is chapter one in the great book of designer challenges. Not so well known, though, is chapter two: the follow-up. When the debutante gets rave reviews, whaddya do for the encore in four years? A major makeover? Or just the automotive equivalent of a little more eye shadow and a few sequins. BMW has faced this challenge with its 3-series sedans for decades, responding each time with a cautious evolutionary styling update augmented by significant engineering improvements. It’s an approach that obviously works – for BMW. The 3-series is the benchmark in the entry luxury-sports-sedan segment, with 15 consecutive appearances on the Car and Driver 10Best Cars list to underscore its preeminence. But can this policy work for a newcomer? Has the second-gen G35 got the chops to keep pace with the fifth-gen Bimmer? The short answer is a definite maybe. 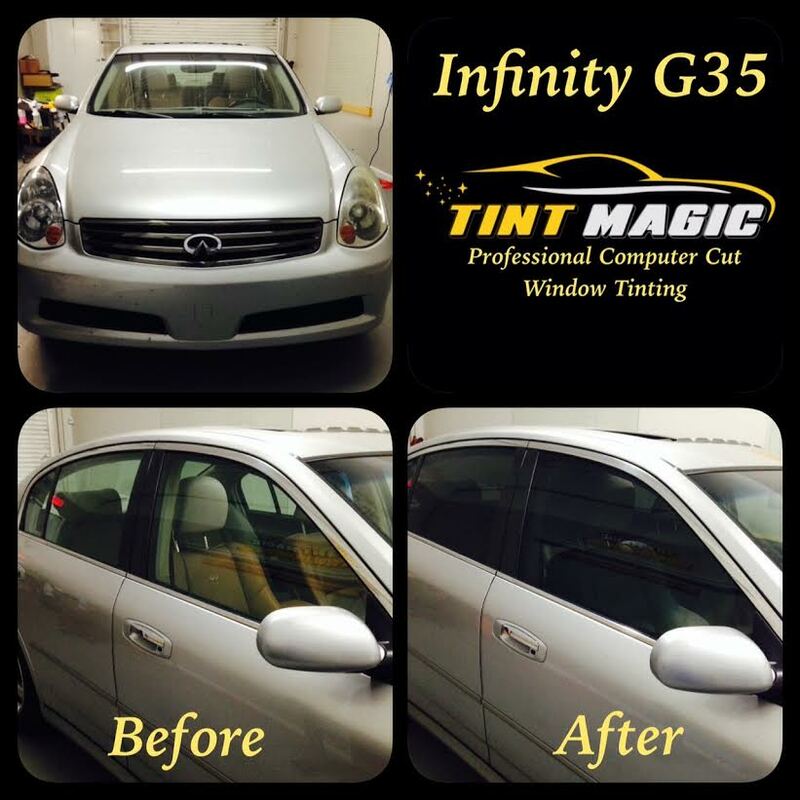 Infinity G35 Window Tinting at Tint Magic Window Tint Coral Springs, we applied 35% on the two front windows and 18% on the back windows, legal colors in Florida, before and after pictures.